Hectic hectic day… So hi guys, hows life? 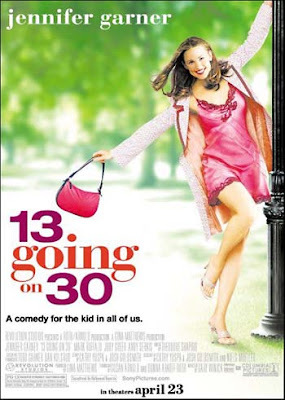 Yesterday I was watching a movie “13 going 30” on RTM2 with the mrs. Did you watch it? Well no fear, this is not a movie review. It is about one 13 years old wishing to be 30. And like every thing else in a movie, the wish come true. I’m not sure about you, but when I am at that age, I cant wait to become adult. No more studying, no more exams, a lot of money every months. Can do anything we desire without the need to seek approval, Wow! that would be heavenly. Not that my childhood is no fun. Believe me. It was the best time of my life. With all the drama, the rebellion, the awesome company, SO MUCH free time, I sometime wonder what to do… Now that I’m working. every once in a while, I start wishing to be given the opportunity to turn back time, and maybe this time I will appreciate the time more. I believe every one, if given the chance, want to do the same. Am I right? Why ya? We really are so bad at appreciating and be thankful. when we were kids, we don’t appreciate all the wonderful things we’re given and jealous of all the things adult do. It actually not a surprise because we were just not that mature at the time. But why when we were supposed to be more mature now, the “bad at appreciating” seems to still be there. It doesn’t stop there, we always find eating at other’s house is more delicious than our very own cooking. We always envied other people for their perfect life, when in fact they were doing the same on you. No wonder the word “syukur” is repeated many times in AlQuran. It is not an easy thing to do, don’t you think? ordered would be more nicer…? somebody gave me this idea and i never went to any horror movies ever since. hm pasal horror movie tu, agaknya idea tu boleh dipakai gak sekali sekala. filantera – 🙂 nak pindah keje apa? plump ppl wanna be slimer. slim ppl wanna be thinner. thin ppl wanna be chubbier n sexier. = u can never get away from girls whining bout their size n diet. hehe. noushy – thriller? hehe understandable. Or.. if u wanna see a romantic comedy movie, can try You’ve Got Mail. syahidatul – so many people recommended me the movie – “walk to remember”. I need to find the dvd and watch. huhu…until now i never watch this movie..